Early Sunday morning, a light breeze, perfect conditions, and the skies above East London were dotted with drifting shapes in primary colours. 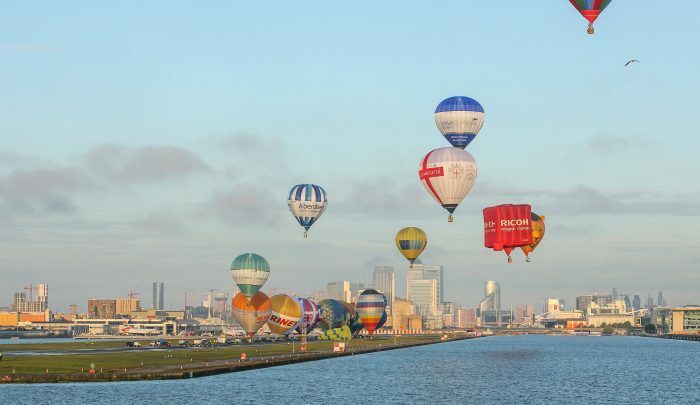 The Lord Mayor’s Hot Air Balloon Regatta took to the skies from London City Airport coinciding with the 30th birthday celebrations of the Docklands landmark. At 7am, 27 lifted off, the first time from the runway, and stayed airborne for an hour, travelling north eastwards at around 1,000 feet, over Dagenham, Hornchurch and Upminster, before dispersing and landing. 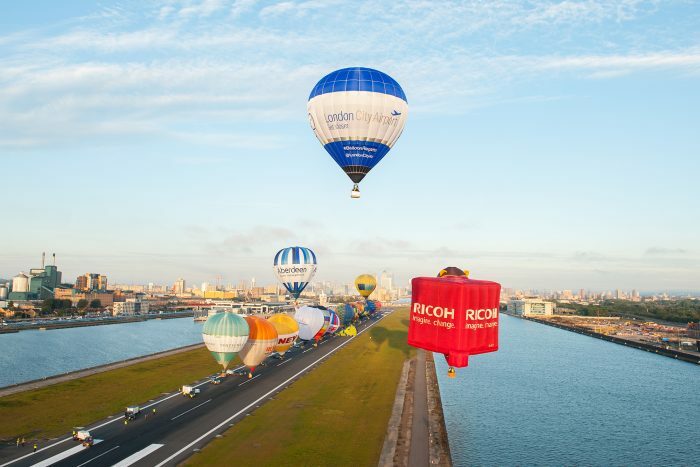 The colourful event forms part of the Lord Mayor’s Show but the date always depends on the weather – with organisers looking for a Sunday when the wind is going to be favourable. Thursday, October 26 marks exactly 30 years since London City Airport began commercial operations, with two airlines initially serving just three routes in 1987 – Plymouth, Paris and Brussels. These days the airport serves around 50 destinations on 11 airlines and in 2016 welcomed a record-breaking 4.6million passengers. The airport was officially opened by the Queen on November 5, 1987. Next articleIs the Whitechapel fatberg the ultimate symbol of our times?